Certainly one can applaud President Barack Obama for his move earlier this week to launch a White House initiative on improving education for our black children. 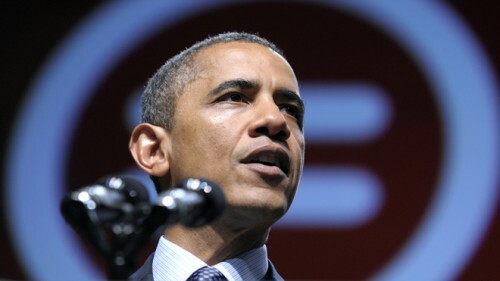 The fact that he announced the effort at the National Urban League’s annual conference after being criticized for not speaking before the NAACP’s convention the week before (and before thay, upsetting older, socially conservative blacks and clergy he needs to win re-election with his rightful support for recognizing the rights of gay to civil marriage) makes the announcement seem conveniently timed. But along with a similar initiative launched last year by the administration to expand educational opportunities for Native American kids (and slowly revamp the U.S. Bureau of Indian Education), the new effort does bring attention to the low educational achievement among young black children — especially young black men — and reinforces Obama’s generally laudable record as School Reformer-in-Chief. But it is a tad difficult to take the president seriously on his commitment to systemic reform in light of his effort to eviscerate the No Child Left Behind Act and its Adequate Yearly Progress provisions that have helped spur a decade of systemic reforms. And this is especially true when one looks at the new proficiency targets set for poor and minority kids by states under the waivers with his administration’s approval. In Tennessee, for example, the state’s traditional districts need only to ensure that 42.8 percent of black high school students are proficient in Algebra I during the 2012-2013 school year, some 20 percentage points lower than the rate of proficiency for white peers. While the state eventual aims to ensure that two-thirds of all black high school students are proficient in Algebra, that level of proficiency is still nearly 15 points lower than that for their white peers. And both are lower than the 87.7 percent proficiency rate for their Asian high school peers. In Washington State, districts will only have to aim at making sure that 60 percent of black middle schoolers are proficient in reading, according to its No Child waiver request. That’s nearly 20 percentage points lower than the proficiency expectations the Evergreen State has set for districts in improving achievement of white middle-school students, which, in turn, are slightly lower than for Asian peers. Although Washington State aims for districts to halve achievement gaps by 2017, the targets set by the state hardly amount to anything ambitious. And given that few districts and schools will be under scrutiny thanks to the Obama waiver gambit’s goal of narrowing accountability to just the worst-performing five percent of schools (and at least 10 percent of those with the widest achievement gaps), it is hard to take those targets all that seriously. Tennessee and Washington State aren’t alone in lowering expectations for their districts and schools. In fact, that is much of the point of the Obama administration’s waiver plan. Declaring that the law’s aspirational goal of schools bringing all of its children to proficiency in reading and math by 2014 led to what U.S. Secretary of Education Arne Duncan declares to be a “broken system” which penalizes far too many schools arbitrarily for failing to improve student achievement. Last year, in the run-up to the launch of the waiver gambit, Duncan tried to make the case that 82 percent of schools (and as many as 90 percent) would be found academically failing. The fact that school reformers and others such Charlie Barone of Democrats For Education Reform, Andy Rotherham, and the Center on Education Progress proved that Duncan’s estimates were nothing but smoke didn’t dissuade the administration from granting waivers to 33 states and the District of Columbia so far this year. Nor did Duncan admit that one reason why states and districts complained about No Child’s accountability and proficiency goals was because of their own gamesmanship, failing to elevate (and in some cases, deliberately lower) standards and proficiency targets more-rigorous in the first place, then moving to ramp them up just a few years before the 2014 target would come into play, aided and abetted by Duncan and his predecessors. Then there is another consequence of the waivers that has not yet been appreciated by reformers, this time when it comes allowing states to ditch the 100 percent proficiency target (which is really 92 percent or so once all the legal exceptions are in place) with supposedly “ambitious” yet “achievable” goals. Given that accountability is being limited to the worst five-percent of schools within a state and at least 10 percent of schools with wide achievement gaps, reformers (especially centrist Democrats) should be skeptical about what the administration means when it says “ambitious” and “achievable”. That skepticism should grow after looking closely at the individual state targets set for districts and schools to improve student achievement, especially for poor and minority children. Michigan, for example, expects its districts and schools to only ensure that 44 percent of all elementary students (and a mere 36 percent of high school students) were proficient in math by 2012-2013, according to its approved waiver request. Although the Wolverine State expects 85 percent of all students to be proficient in all subjects by 2022, the fact that the bar is so low means that districts may not take on the systemic reforms needed to actually aim higher. Then there is North Carolina, which expects that its districts will get only 61.7 percent of black students in grades three-through eight toward reading proficiency in 2012-2013, while expecting only 64.7 percent of Latino and 65.2 percent of American Indian and Alaska Native kids to become proficient in reading; by 2014-2015 , far lower than the proficiency rates for white and Asian peers; Tar Heel State leaders expect districts bring black, Latino, and Native students to proficiency levels of 69.3 percent, 71.7 percent, and 72.2 percent, respectively, by 2015. At least these states were transparent in their low bar setting. New York State, for example, offers an AMO index that is hardly decipherable by the average person. One thing is for sure: Districts are expected to achieve an index score for Black students in grades three-through-eight that is 19 points below that for students overall and 31 points below that of white peers. Other states only detail what the proficiency levels could look like. Only Arizona has stuck with the 100 percent proficiency goal (albeit nearly a decade after No Child’s 2014 goal). The rest hardly meet any sensible person’s definition of ambitious. Certainly the Obama administration and its defenders on the waiver issue will argue that the the low proficiency levels aren’t indicative of low expectations for children. After all, under the waiver gambit, the administration has required states to adopt “college and career-ready” curricula standards in reading and math in exchange for ignoring AYP. But the demand is meaningless largely because federal law prohibits the U.S. Department of Education from laying out exactly what these standards should be (lest it be accused of crafting a national curricula), and it cannot public support the implementation of Common Core standards in reading and math already underway in all but a few states. The fact that cut scores on the underlying tests used to measure proficiency are already below the high bar set by the National Assessment of Educational Progress and the two leading tests of international student achievement, PISA and TIMSS, also means that the proficiency targets are effectively lower than they should be. Which is ultimately the point. The levels of proficiency set by states are more than just a series of targets. As with so much public policy, it is a clear communication in action of the expectations we have for our society, especially when it comes to ensuring that every child gets a high-quality education. The 100 percent proficiency target set by No Child was an ambitious statement that all kids should get the education they need to write their own life stories. Even if states and districts failed to meet the goal initially, the goal put much-needed pressure on them to embrace systemic reform. But when you set the bar low, those who have to meet it won’t bother to go above and beyond. In fact, they won’t even meet the low bar. One can easily surmise that the low proficiency levels set by these states essentially proclaim that state leaders don’t expect districts to do very much for the black, Latino, and Native kids in their care. In fact, one can dare say state leaders don’t even expect much from those kids themselves. And the children and families, in turn, probably shouldn’t expect districts or state leaders to ever meet their obligations. At the same time, the levels of proficiency implicitly accepted by the Department of Education symbolize the level of the Obama administration’s commitment to ensuring that all children succeed. As former National PTA chief executive officer Byron Garrett would say, it is morally objectionable to demand anyone to choose one child (or nephew) to get a high-quality education (and prospects for success in life) over another.Yet in accepting the low AMO targets set by the states granted waivers, the administration is saying that only some poor and minority kids should receive the nurturing of high expectations (and the high-quality teaching and curricula to match) while the rest should be subjected to the soft bigotry of low expectations. In the process, Obama and Duncan are retreating from the very commitment of federal education policy, articulated through No Child, to set clear goals for improving student achievement in reading and mathematics, to declare to urban, suburban, and rural districts that they could no longer continue to commit educational malpractice against poor and minority children,and to end policies that damn children to low expectations. Just as importantly, the administration weakened a tool that reform-minded governors and legislators used successfully to initiate reforms in spite of opposition from education traditionalists on the state level. If not for No Child, the most-successful of the Obama administration’s reform effort so far — Race to the Top and I3 — wouldn’t have had a chance of succeeding, largely because there would have been no pressure in the form of the proficiency and accountability provisions that No Child brought to bear. Contrary to what U.S. Senator and former Secretary of Education Lamar Alexander declared yesterday at a Thomas B. Institute forum on No Child, it is unlikely that his successors as governor of Tennessee would have managed to push the array of reforms they have done since he left office two decades ago; in fact, as successful as Alexander was during his tenure in the Volunteer State in launching the first true school data system, he didn’t manage to accomplish as much in his long tenure as current successor Bill Haslam did in just two years. By engaging in this waiver gambit, the Obama administration has lost plenty of high moral and intellectual ground on the reform front — and has weakened reform efforts for at least a decade. This isn’t the legacy President Obama should want. But it is what he deserves for weakening the accountability that is key to advancing systemic reform for our children. Thanks for revealing the dark underbelly of the Obama administration’s “waiver” agenda. The state examples you provide are depressing, but any commentary on this issue should include Virginia, which got off with a methodology for setting AMO that stunningly leaves low-performing students behind. Yes, Virginia, you are a swing state.